Shreya Tiwari from Jabalpur, B.E. - B.Tech Graduate. LEARINING CAPABILITI.. STRONG COMMUNICATION.. SUPPORT IN DOCUMENTA.. COORDINATION WITH CO.. RESPONSIBLE FOR ASSI..
are one of expert skill area's of Shreya Tiwari . 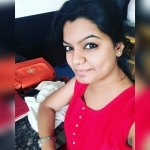 Shreya Tiwari is working in IT Hardware industry.